Welcome to Rock Your Strengths Blog and Home Page Carol Anne's Rock Our Strengths Blog! Decades of research has shown that when employees are given the opportunity to do what they do best every day, the effect on individual, team, and organizational performance is powerful. The problem is that most people aren’t able to accurately identify their own strengths and therefore can’t intentionally use them. Let me help you become more effective, efficient, and engaged in your life! 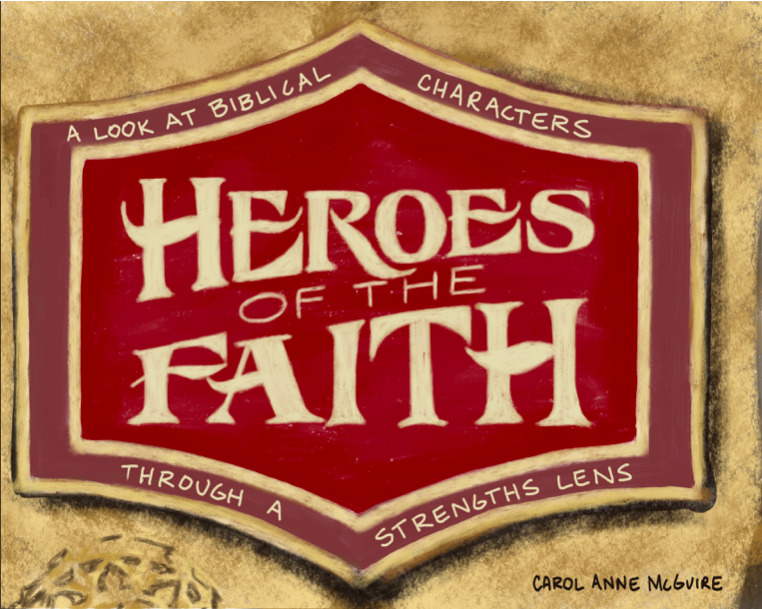 It was a natural progression for me to think deeply about Gallup Strengths through the lens of my faith, and soon I recognized that the heroes of the Scriptures were operating in God-given Strengths! Get a little extra jolt of your Strength with a hot cup of Joe or contemplate resting in your Strength zone with a smooth cup of tea! 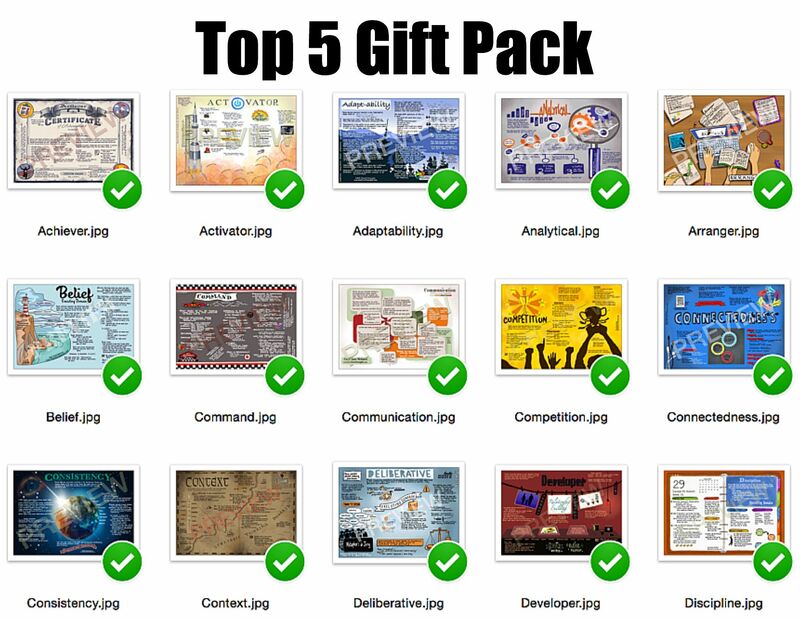 Top 5 Strengths Illustrated Posters are suitable for framing in your office or home will remind you, your workmates, your clients just what you are good at! You know you are 'owning it' when you are wearing your Strengths! 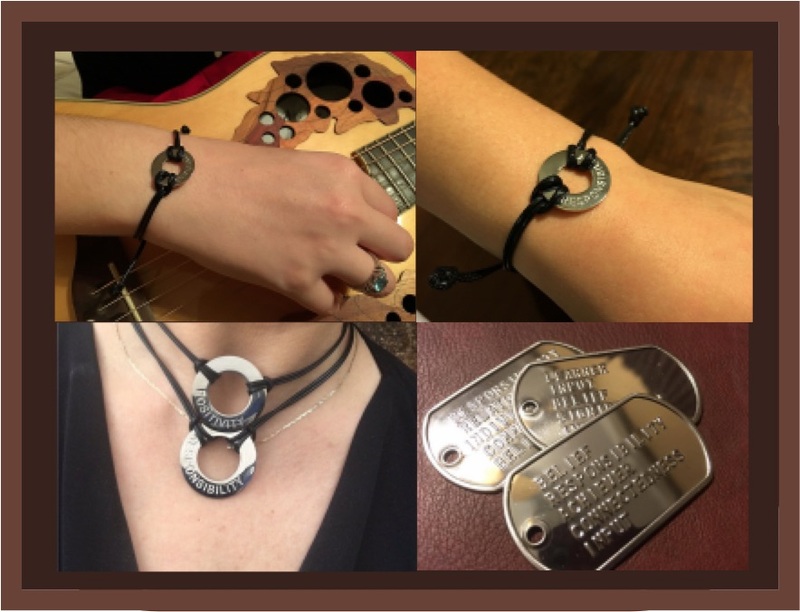 Check out the wearables that I have made to remind my clients of their Strengths. People who are especially talented in the Developer theme recognize and cultivate the potential in others. They spot the signs of each small improvement and derive satisfaction from these improvements. • Your dynamic view of others focuses on their potential and possibilities. • You are drawn to people who have not fully realized their potential yet. • You feel a strong compulsion to help others challenge themselves and experience success. • You feel that interesting experiences help us grow, learn, change and improve. • You thrive on watching people grow and evolve over the years. StrengthsFinder defines it as: People who are especially talented in the Developer theme recognize and cultivate the potential in others. They spot the signs of each small improvement and derive satisfaction from these improvements. The art: I thought for a long time on how to draw this sketch. Nothing came to mind but a picture of parents walking with their child, helping him to take steps and encouraging his progress. But when my mentor, Curt Liesveld, passed away a few weeks ago, his passion for photography made me think of Developer in a whole different light. Just as in developing film, a Developer looks for areas of improvement and is patient with the time it takes to get a good product.